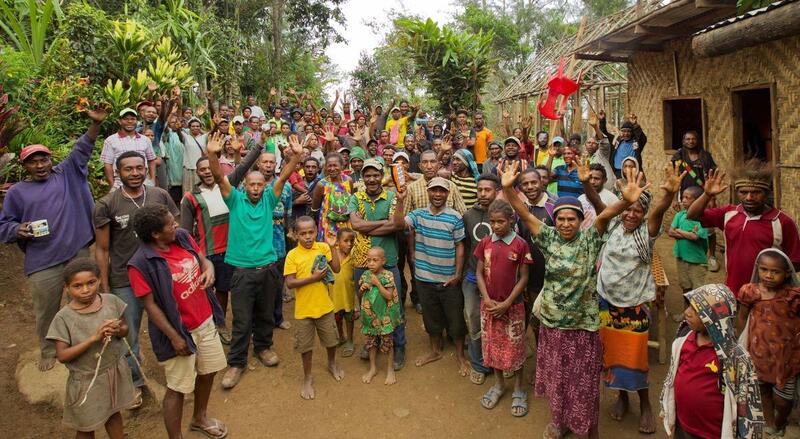 Seven clans from the Manga tribe, an indigenous group in a remote valley in the highlands of Papua New Guinea, have pledged to create a protected area to safeguard over 10,300 acres of primary forest on their land. This protected area will help secure the Bismarck Range forest, a contiguous intact forest corridor in the country's central highlands, one of the world’s top seven regions for plant diversity and an area supporting the highest mammal and amphibian species richness and endemism in the country. To help achieve the goal, the clans recently established a new partnership with the Wildlife Conservation Society and launched a community-based organization called the Kuakam Landowners Foundation. Kuakam means "cloud and rain" in the local Narak language and refers to the magnificent cloud forest which covers Mt. Goplom, a mountain along the Bismarck Range, which the community have committed to conserving. With WCS's support, they are currently working toward signing a conservation deed, which will provide legal protection for this area. 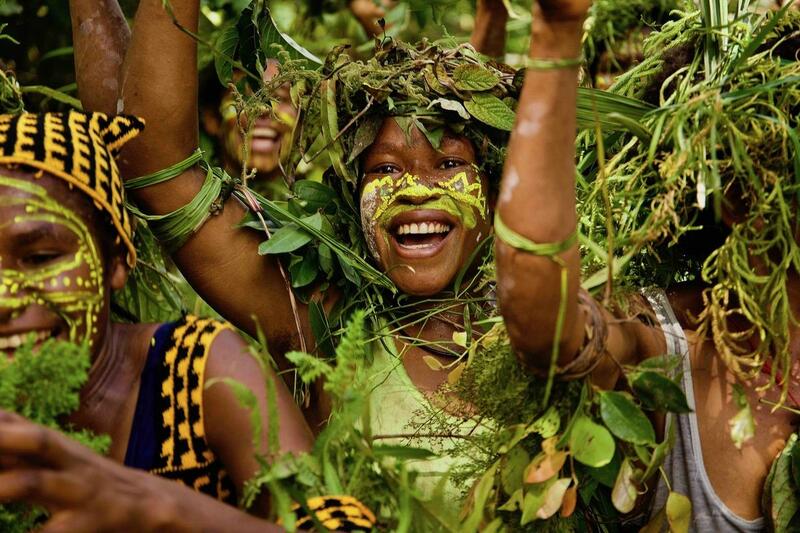 Papua New Guinea, one of the world’s least developed nations, is home to the largest remaining rainforests outside the Congo and Amazon. 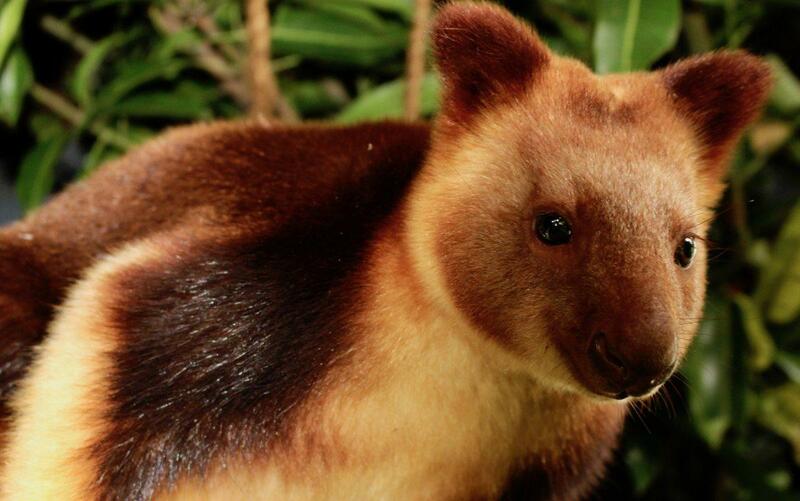 This forest is under threat—one-quarter of Papua New Guinea’s forests have been destroyed in the past 30 years. The primary driver of forest cover change is logging, mostly illegal, and, to a lesser extent, family farming. The country's people, the second most rural population in the world, rely mostly on natural resources to survive. As the population is expected to double in the next 20 years, it is very likely that dependence and the threats on Papua New Guinea's forests will increase. In the remote region where the Manga tribe lives, government services are essentially non-existent. Children sometimes have to set off at 4 a.m. to walk the long trek and arrive at school on time/ They must traverse thick bush, steep hills and rushing rivers. Often, they have no breakfast until they reach school. For this reason, many younger children have to wait to go to school until they can handle the journey. In this context, the community has taken to supporting their livelihoods by growing peanuts as a cash crop. In Kwiop, their beautiful village in Jiwaka province, where there are still old people who remember the first contact with the outside world, peanuts grow best on land that has not previously be cultivated. This incentivizes cutting down the forest at an alarming rate. As part of our partnership with the Manga, WCS will help them bringing this harvest down to a sustainable level while also conducting reforestation and community woodlot projects and developing local livelihood initiatives.